It’s no secret that I enjoy reading and quoting Charles Haddon Spurgeon. He was masterful with the English language and his sermons are filled with wonderful turns of phrases. Most of all, Spurgeon loved the gospel and with his command of the language was able to make it bright and scintillatingly clear. For decades now, the American church has been enamoured with “growth.” American pastors have an insatiable desire for growth and success “in the American way.” Spurgeon was enamoured of another kind of growth; a biblical kind of growth. Here’s a quote from a sermon preached in 1888. There were no “bells and whistles” at Metropolitan Tabernacle. 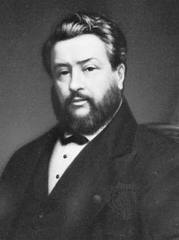 Spurgeon preached a plain gospel in an attractive way. In a story that typifies the “Prince of Preachers,” some American newspaper journalists were sent to London to compare a leading English preacher and Spurgeon and determine who was the “best preacher.” They decided to hear the leading preacher in the morning. They were astonished at his rhetorical flourishes. They jabbered on and on about his oratorical ability. Toward the end of the day, they seriously considered not hearing Spurgeon at the Tabernacle that Sunday evening because they believed they had already heard the greatest English preacher of their day. However, they decided it was their duty to the newspaper to hear Spurgeon that night. That’s what Spurgeon would have wanted them to say. Pray that your pastor might have the same goal in all his preaching: to proclaim the greatest Savior (2 Corinthians 2:15).